We have been learning about different types of forces in class. Students have investigated and learned about forces such as push, pull, gravity, friction, magnetism, electromagnetism and static electricity. Students showed an interest in performing more investigations on static electricity at home. Enjoy the quick demonstrations below on youtube. 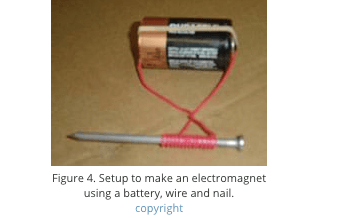 On Monday we investigated and learned about electromagnets. See the attached video how to make an electromagnet. We made one in class too. We just finished reading Stone Fox and we learned a lot about Little Willy and his relationship with his grandfather. We stopped and discussed many lessons throughout the book to see what John Reynolds Gardiner did as an author. We recently discussed how author’s put certain things in their stories for a reason, the author’s purpose. How did you feel about the ending of Stone Fox? Why do you think the author chose to end the book this way? Once you write your reason(s), please give evidence from the text to support your answer and your thinking. You can post your thoughts on the padlet link below. Please include your first name, so we know who wrote each response. As always, please look at your spelling and punctuation before completing your post. We have been learning about balanced versus unbalanced forces. Today we learned about friction. We learned through our investigations that friction is a force that affects the motion of objects. Click on the video link below from Brainpop to learn more about forces. When you finish, click on the padlet and write something you learned from the video. Please put your initials and use correct spelling and punctuation. This week we pollinated our plants and we are on the look out for seed pods! Watch the video below to learn more about the reproductive parts of a flower and the process of pollination. Then, record your ideas about pollination, pollinators and flower parts on the padlet. Remember to add any pictures that will add to your information . (For ex parts of a flower or pollinators). It is important to understand shapes in different categories and understand that shapes may share attributes. This week you will create a second blog post that showcases the changes of the plant over the past two weeks. The video below shares some information on photosynthesis. Using the information from the video as well as the readings we have done in class, you will be required to post the BIG IDEAS about photosynthesis on the padlet provided below the video. Any new or interesting information that you didn’t already know include in your post. What do you notice from each video? In the first two videos please observe all the different plant parts. Before watching this video, please make a hypothesis about the differences you expect to see between the seeds germinating in the sun and the seeds germinating in the dark. During the video, please use your chart to document your observations and prediction.